Bright Zine | Ethical Lifestyle — Is Camera Film Vegan? Does camera film contain gelatine? Is Polaroid film vegan? Are there any vegan camera films? We asked all these questions when planning a photographic workshop at this year's Vevolution Festival, and found that mostly, camera film isn't vegan. But we also found some workarounds and vegan options. Why isn't camera film vegan? Gelatine is used as a thickener in film, holding in the silver halide crystals in an emulsion. Gelatine, as most of us know, is made from boiling animal skin, bones, horns and cartilage for a long time. These body parts are usually from animals killed in animal agriculture, typically pigs and cows. Unfortunately, the same goes for photographic paper. For photographic paper to hold an image, it has a light-sensitive emulsion with silver halide crystals in gelatine, layered onto coated paper. This also applies to standard instant cameras, including popular brand choices Polaroid, Fujifilm Instax and Lomography's Lomo Instant. Why can't they use something else? Camera film industry leaders Ilford states that "without gelatine, products would be fragile, slow and have a short life." They claim that substitutes have been attempted with materials such as vegetable extracts and Polyvinyl alcohol, but that "none perform to the same standard as gelatin." We're not experts in this area and so can't testify as to the truth of any of these claims, or if this is just a 'traditional' product and practice that isn't looking to be updated. Are there any vegan films or papers? Zero Ink - or ZINK - is a new printing technology that is more economical and environmentally-friendly, containing no animal products, and no inks, toners or cartridges. ZINK contains advanced heat-reactive crystals saturated in the paper, thermally producing durable, full-color, high-resolution prints from instant cameras, handheld and desktop printers. What cameras can I use to have all-vegan photos? Polaroid offer the Polaroid Snap, Polaroid Snap Touch and Polaroid Z2300 instant cameras, and the Polaroid Zip instant photoprinter which pairs with any mobile device. You can print photos from any digital camera, mobile phone, tablet or computer on a printer with Zero Ink (ZINK) technology. Do I have other vegan options for printed photos? If you take photos on a digital camera on mobile phone, there are plenty of online printing companies who print on card or matt paper, just check with your chosen printer before you order. So there we have it. Classic camera film and even digital photo prints are not vegan. But technology continues to push us forward with more eco-conscious and animal product-free options and alternatives. 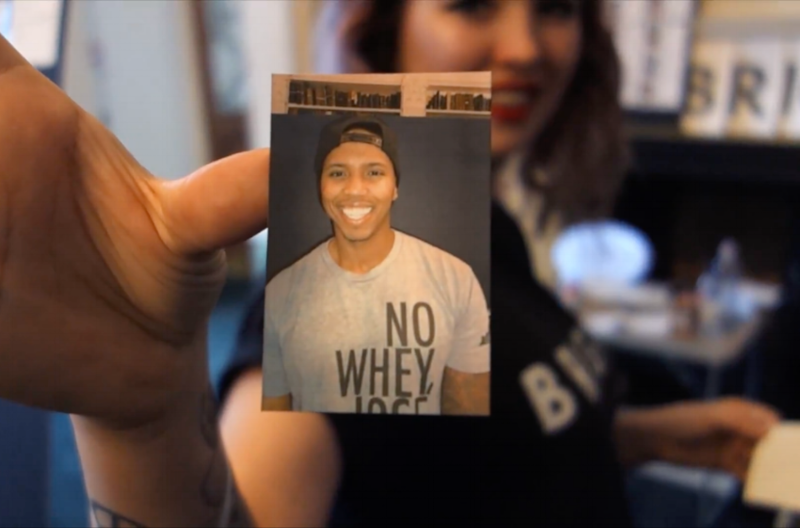 Check out how we made the most of the Polaroid Snap instant camera at our 'Faces Of Veganism' workshop at Vevolution 2017.